DavidsTea is the largest Canadian specialty tea boutique in the country and is based in Montreal, Quebec, Canada. Cousins Herschel H. Segal and David Segal founded the company in 2008, offering teas and accessories, opening their first store in Toronto in that year. 2009 – Opened a second store in Montreal. 2010 – More stores opened across Canada. 2011 – Their 50th store opened in Waterloo, Ontario and their 1st in New York City. 2012 – Grew to more than 75 stores across Canada and the U.S., fed by a growing tea boutique industry. 2013 – Oprah Winfrey promoted them in her shows and O Magazine. 2016 – David Segal Resigns. 2017 – Appoints Joel Silver as President and CEO. Since the beginning, DavidsTea has offered more than 150 loose leaf tea varieties, accessories and seasonal products. With a friendly approach and great customer service, they soon garnered loyal customers among their friends, family and neighbors, then – the rest of the community. The inviting stores became community fixtures and now have over 200 stores in Canada and the U.S. This company has exclusive blends, straight teas and exotic blends from all over the world, along with limited edition seasonal collections and the largest collection of organic infusions and loose leaf teas in North America. They advise that they have something to please any palate and craving. Sweet treats and premium green teas are also available as well as innovative tea accessories, infusers, spoons, tea sets and travel mugs. Herschel H. Segal also founded Le Chateau, a popular fashion company. Darjeeling’s second oldest tea estate is called Happy Valley and was established in 1854. Now it’s recognized as the first organic tea garden in India, located at the foot of the Himalayas and the source for flavorful black teas. DavidsTea is proud to share these unique teas and Darjeeling varieties. This renowned tea garden produces tea with fruity notes of apricot and ripe plum, with a delicate astringency. Located at 6,900 ft above sea level, Happy Valley Tea estate is the highest garden in Darjeeling, India. This breath-freshening tea combines rooibos, cinnamon and apple. 2 oz. size: Makes ~10-15 cups of tea! 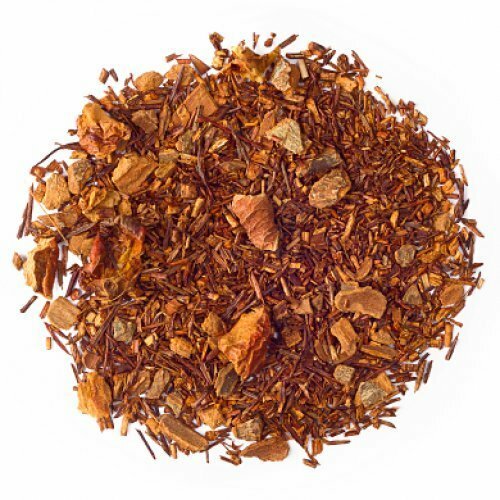 Fair Trade, Kosher and Organic certified, this rooibos tea is blended with apple and cinnamon to create a refreshing chai that can be enjoyed as a spicy latte or a hot or iced tea. With zero caffeine, this tea can still give you a boost, with the energy combined from rooibos and cinnamon, while the apple brings on a natural sweetness. It can also be enjoyed as a cocktail. A zen melange of jasmine pearls, hibiscus blossoms and white and green tea. 2 oz. size. Makes ~10-15 cups of tea! Hibiscus blossoms, jasmine pearls and green and white tea are blended together for a fruity, relaxing and contemplative cup. Delicate and fresh while maintaining a sweetly floral aroma, this tea is great for those moments when you require a little serenity. Want to try something kind of out there? This would work great for a green tea bath, imagine the aroma! Buddha’s Blend is a DavidsTea fan favorite. 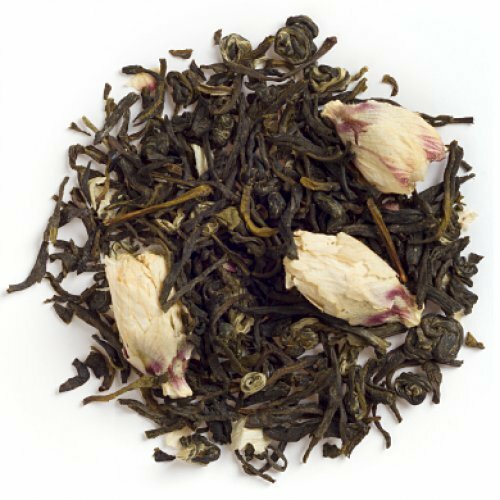 A creamy twist on the classic Earl Grey, with a rich hint of vanilla bean. 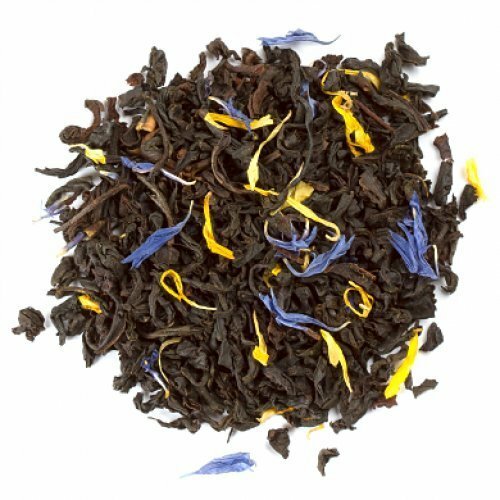 Earl Grey lovers will be delighted with this creamy twist on the original, savoring the hint of rich vanilla. High quality black tea is infused with bergamot oil, giving it a splash of citrus that is balanced out by the vanilla, making it a rich and smooth experience. This tea has medium caffeine and is certified Organic and Kosher. DavidsTea is a friendly company which is great for those new on the tea scene who might feel a little daunted when looking for types to try. They have a fun blog, featuring tea of the month as well as accessories, tea presses, travel mugs, tea infused cosmetics, samplers and much more.